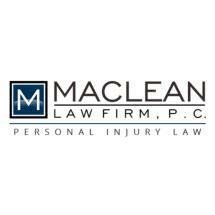 The MacLean Law Firm is a solo practice Texas firm with offices in Fort Worth and Cleburne. I represent personal injury clients in both cities, the Dallas-Fort Worth Metroplex and throughout Tarrant County. My name is Scotty MacLean, and I have been practicing law in the Fort Worth area for nearly 25 years. I received my Juris Doctor from the Texas Tech University School of Law and immediately set about becoming a personal injury trial attorney. I am licensed to practice in all Texas courts and am a member of the State Bar of Texas and the Tarrant County Bar Association, as well as the Texas Trial Lawyers Association and the American Association for Justice. I am proud to say that my personal injury law firm has gained a national reputation. I have received Martindale-Hubbell's highest peer rating of AV* Preeminent for legal ability and professional ethics. I also am a member of the Million Dollar Advocates Forum, a prestigious organization whose members have won million-dollar settlements and verdicts for their clients. Fewer than 1 percent of the nation's attorneys qualify for membership in this group. The MacLean Law Firm also handles wrongful death lawsuits on behalf of people who have lost loved ones in an accident caused by the negligence of another.